By buying this product you can collect up to 70 loyalty points. Your cart will total 70 loyalty points that can be converted into a voucher of 14,00 €. Choose the number of panels and the layout (portrait / landscape) in the options. This kit contains the necessary hardware to fix your photovoltaic panels on an aluminum rail system placed on a flat surface. Simply select from the options the number of panels arranged in portrait or the number of panels in landscape arranged >> the contents of the fixing kit adapts automatically. 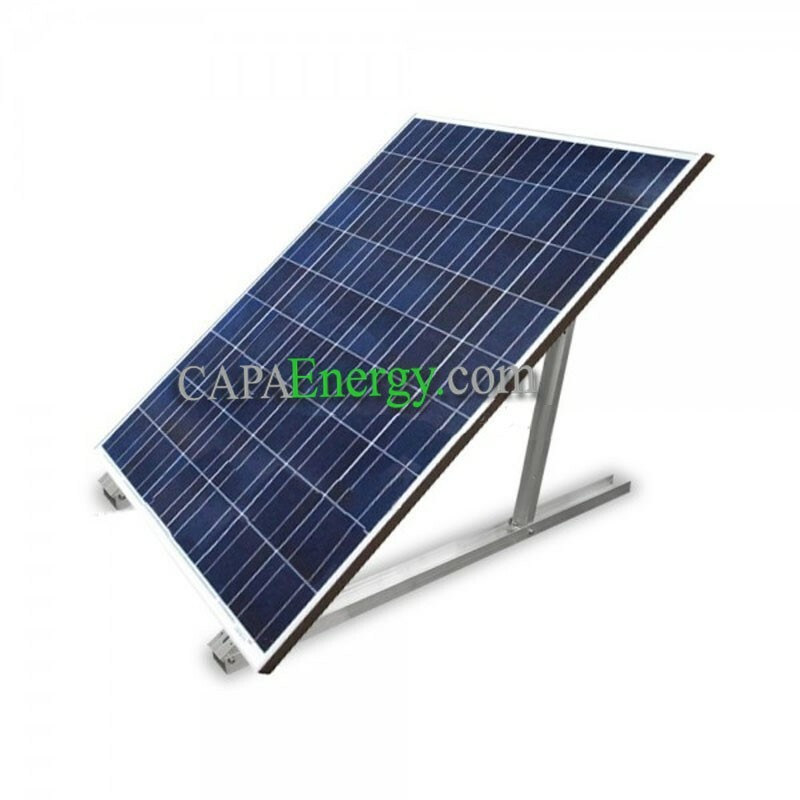 Aluminum rail on which is positioned the solar panel. Custom rail available on request. These 2 bars are used to securely assemble 2 pieces of rail together without screws or tools! Simply insert the tie bars into the two pieces of rail to be assembled. 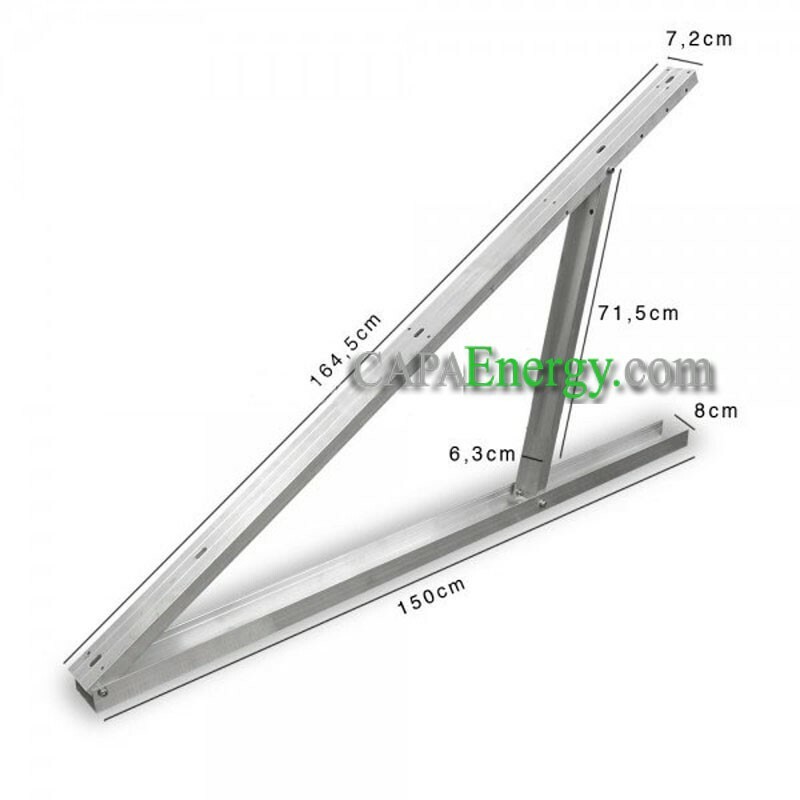 This triangular support is used to fix the aluminum rail used to support the solar panel. This small triangular support is used to fix the aluminum rail used to support the solar panel arranged in landscape. Clam for the internal fixation of photovoltaic panels. 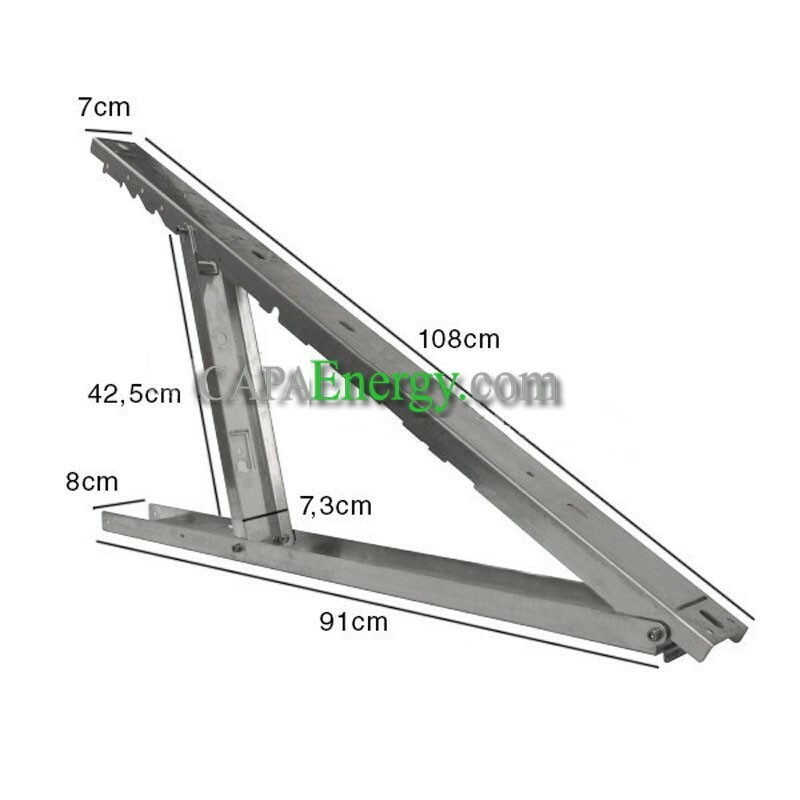 Height adjustable according to the height of the solar panel frame: 35 - 50mm. Attaches to aluminum rail with stainless steel bolt and nut (supplied). Option: Height to choose according to the height of the panel frame. 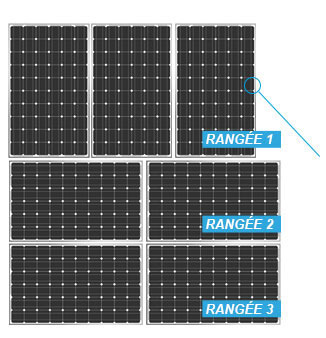 How to choose a kit adapted to my panels? The fixing kit is suitable for all slate roofs. Thanks to its options, it adapts to the layout of your panels. 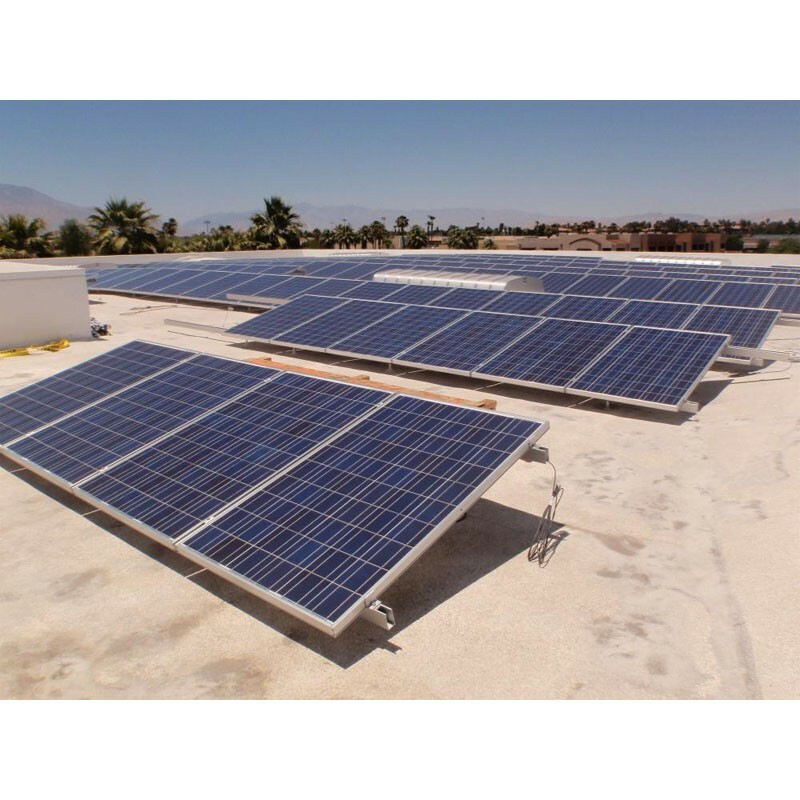 The fixings are compatible with conventional size panels (approximately 1m60 x 1m). 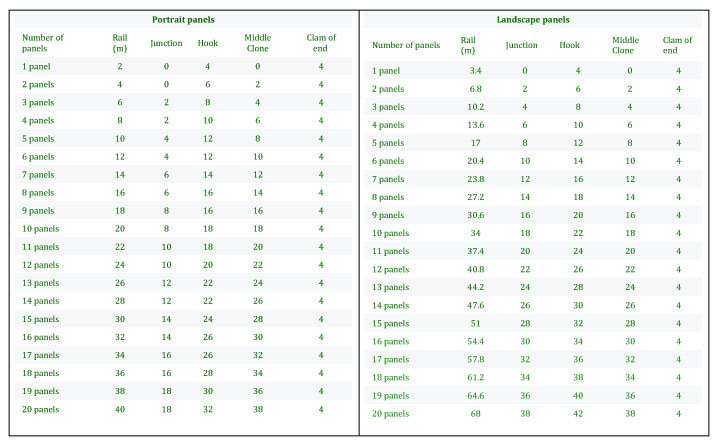 Choose, by row, the amount of panels arranged in portrait or landscape. The clam is used to fix the panel on the aluminum rail. Its height must match the thickness of the frame of your panel so that it is securely attached to the rail.